Have you ever been told that you need to “find your niche” as a blogger? Have you struggled to figure out what your niche is? Have you resisted finding a niche out of fear of being pigeon-holed? 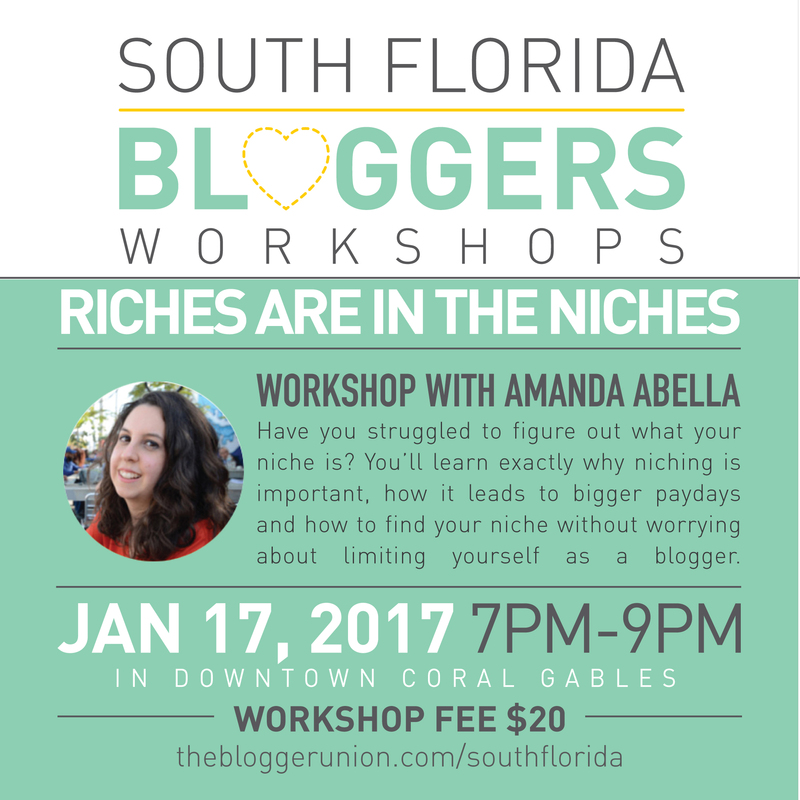 On Tuesday, January 17, 2017, award winning millennial finance blogger Amanda Abella will give you answers to these questions and more in a “Riches are in the Niches” workshop. You’ll learn exactly why niching is important, how it leads to bigger paydays and how to find your niche without worrying about limiting yourself as a blogger. 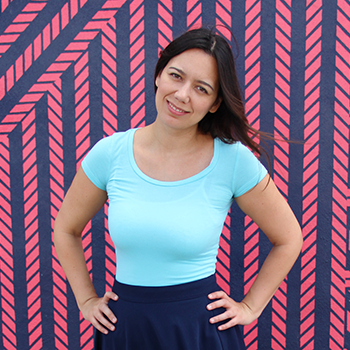 Amanda Abella is an Amazon bestselling author, podcaster and award winning millennial finance blogger. She’s been blogging about millennials and money full-time since 2013 and has since had her work featured in Inc Magazine, Forbes, Business Insider, Forbes, The Huffington Post and more.